Have you recently started estate planning, or you have had a will or trust in place for awhile? Good for you, this is a crucial step in securing your financial future and that of your beneficiaries. However, many people fixate on the financial details, but forget some of the finer ones. 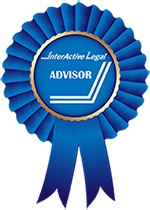 We will explore what often is neglected in estate planning, even when the financial details are solid, and how your estate planning can be improved. The benefit of meeting with an estate planning attorney is that they can point out the gaps in your estate planning, and ask the pertinent questions that can help you make sure all the necessary details are included. You may have planned financially for future health care costs, in-home care, or the possibility of a nursing home or assisted living facility. But have you clearly stated your attitudes toward end of life care? Because talking about the end of life is not a pleasant or comfortable topic, many people avoid it, and family members often don’t know their loved one’s wishes. The Conversation Project is a non-profit that is dedicated to helping people know how to talk about end of life care, and they report that 90 percent of people say that talking about end of life care is important, but only 27 percent have actually done so. And while 60 percent of people state they don’t want their family burdened by tough medical decisions, 56 percent have not communicated any end of life wishes. Questions like the kind of treatment you do or do not want are important; do you want a feeding tube? A ventilator? Are there any special moments that are important for you to be at (birth of a grandchild, wedding, etc.)? Some people want every medical treatment available, and others would prefer to have just enough care to remain comfortable. While there are specific legal steps that you should take to solidify your end of life wishes, having a conversation with your family members can be even more important. A conversation can convey emotion that a legal document cannot, and continuing the conversation can address changing health concerns and stages of life. On the legal side of things, you should choose a health care proxy (also known as a durable power of attorney for health care), who is the person that will make healthcare decisions for you if you are unable to do so yourself. You will also want to craft a Living Will (also known as an Advance Directive) that will spell out what your wishes are regarding end of life medical care. For many people, it is easier to divide financial assets than it is to talk about what will be most weighing on your loved ones as you age: your health care and medical treatment requests. No one wants to burden their loved ones with painful treatment decisions if they are unable to make them, but when you don’t communicate your wishes your family members may feel unequipped to handle end of life decisions. Start a conversation about end of life care, and keep that conversation going, to ensure that your loved ones are prepared. While the cost of funeral expenses is often worked into estate planning, sometimes the finer details in a funeral or end of life celebration are neglected. Because burial and funeral plans can also be uncomfortable to talk about, this is a topic that is sometimes skipped. Your family may not know what your wishes are, and having them try to figure it out after you have passed can be stressful and overwhelming. Clearly spell out not just the financial details of your funeral plans, but the emotional side as well. Do you want your loved ones to remember you in a certain way, or do you want certain passages read at your funeral? No one will know these things unless they are communicated, and written down. While some people plan for the inevitability of physical decline in their older years, the effects of mental decline can be much more devastating for your family and loved ones. If you are physically healthy, but unable to remember your spouse or your children, how do you want to plan for that? Do you want your family to care for you at home if this means significant sacrifices for them, or would you want them to utilize paid caregivers? Dementia, and Alzheimer’s disease are on the rise, and many families feel unprepared when it becomes necessary to deal with the effects. The impact of dementia can be much more long-lasting than a physical infirmity, and families can feel a lot of guilt putting a loved one in a nursing home or having in-home care. How do you want your family to deal with the possibility of your mental impairment? There are no right or wrong answers to these questions, but again, having a conversation will be the most important step to take in starting to solidify a plan. You may have designated a guardian for your minor children, but have you had an important conversation with them about your attitudes regarding education, spirituality, morality, and future goals? While no one can ever truly replace a parent, a guardian that is well-versed in the wishes and desires of the parents can try to impart them to any children left behind. Even if your children are grown, having a plan for how remaining relatives or friends will interact with them can be helpful. What would you want to convey to a guardian of your children if you passed away? Thinking about that question early, and adding to it as your children grow, will be immensely helpful if they ever need to be in the care of a surrogate guardian. While you may initially focus on your larger assets while estate planning (your house, stocks, 401K plans, etc. ), you should also consider smaller, less financially valuable items. Do you really want your heirloom china to go to a granddaughter that loves hosting and making beautiful tablescapes? Make sure you put it in writing. You may have an executor who will try to divide assets of similar value, but this can get confusing and feelings can get hurt. If you clearly spell out what items you want each family member to receive, it eliminates confusion and ensures that your possessions go where you intend them to. In addition, if there are valuable assets that you wouldn’t mind your loved ones selling after you are gone, let them know! You don’t want generations to pass down a huge piece of furniture that you didn’t even care that much about. If there are any family treasures that you would really like to see pass down to future children and grandchildren spell that out as well. The more detailed you are with your estate plan, the better! You have probably chosen a guardian for your minor children, but have you considered what will happen to your pets when you are gone? For many people, their pets are their closest confidants and companions as they age, and if they are unable to care for them, where will they go? Continuing care of your pet can be worked into your estate plan, and there are even pet trusts that detail which pets are covered, who will care for them, and earmarks money that can be used for their care. A will can also specify a caretaker for your pet, and can leave money that they can use, although they are not legally bound to use it for your pet. Having an information sheet that details your pet’s care and feeding routine can be extremely useful for someone who takes over as your pet’s guardian. Include names of their vet, any prescriptions, and personality and preference details. While pets are often overlooked, think of how quickly your beloved pet would need care after you are gone, and plan for a trusted family member or friend to fill that role. Because many assets these days are almost exclusively online, if your loved ones don’t have your login information, they may be unable to access crucial information. Even if they have paper statements, they will not be able to electronically manage your accounts, view statements online, or change crucial information. Because you want to keep all of your digital information safe, it is also important that your loved ones have access to your email, social media, and anywhere else you conduct business online. Accounts like Facebook cannot be shut down (even after death) without login information. Your email could be hacked and information gleaned from it could be used to access financial assets. While people shy away from having a paper trail of their online logins and passwords, it could prove to be one of the most valuable assets you could leave your family members. Be sure that you are updating your list as you change passwords, and that your loved ones know where to find this information. There is a lot that goes into estate planning, but when you get started early, you can add in the details as you go. If you already have a general estate plan, but haven’t nailed down some of the more emotional details, talk with your loved ones and family members to start having those important conversations. Estate planning can touch on some uncomfortable subjects, but a good plan will benefit not only your loved ones, but can be a big help to you if you become unable to express your wishes. 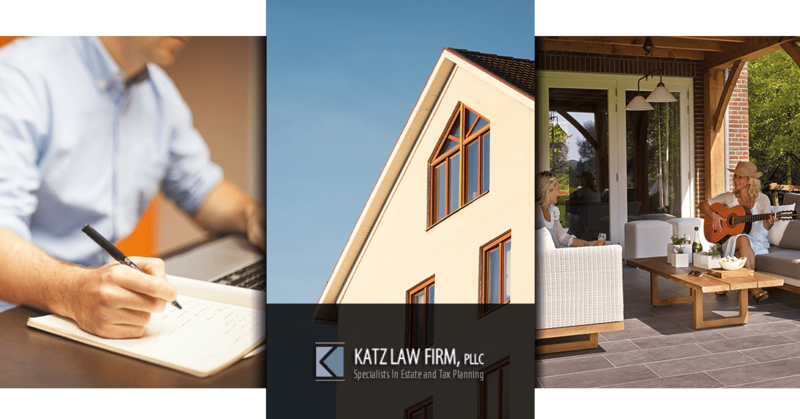 If you are looking for a trusted estate planning attorney in Cedarhurst who can help you navigate the legal matters involved, call Katz Law Firm today!